Visit One of Our Three Colorado Showroom Locations Today! Fireplace Warehouse is located just west of Steele Street & 39th Ave, set back in the warehouse area behind the Denver Health Services office. Turn in off of Steele Street and drive behind the Denver Health Services building you will see a building 3827 Steele Street Directly in front, our entrance is on the south side of the building. When driving west on Mulberry in Fort Collins (coming from I-25) you will have to turn before 1825 Mulberry, to get onto the frontage road on South side of Mulberry. Once on the frontage road proceed west to 1825. 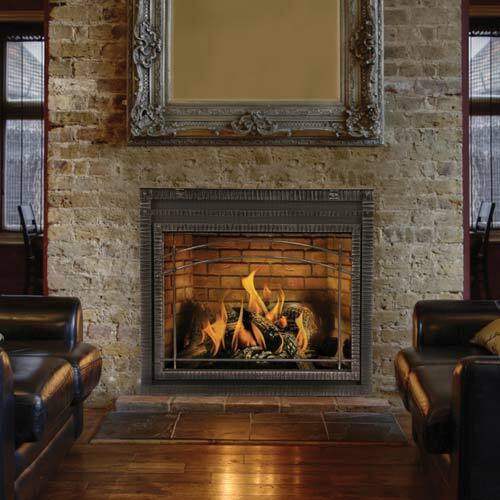 Fireplace Warehouse ETC is the fireplace store you need to visit when you're searching for fireplace companies online, as well as in the Denver, Colorado Springs, and Fort Collins areas. With our wide selection of fireplaces for sale, you can rest assured that you'll find one that suits the décor of any room in your home easily. At our fireplace store, we stock only the highest quality products that are aesthetically pleasing to the eye and durable enough to last a long time. Our customers come to us because we offer more than just a line of gas fireplaces or electric fireplaces. We sell products that encourage family gatherings, fun conversation, and quality togetherness. Dinner parties can have guests moving away from each other, and couples chatting amongst themselves. But with one of our cozy indoor fireplaces, people will gravitate to the warmth and glow of your home's centerpiece, sharing stories and having good times. Besides luxurious fireplaces, our fireplace store also carries a line of wood-burning stoves, pellet stoves, and fireplace inserts. Our fireplace company’s vast selection of products extends to the outside space. For chilly evenings, our outdoor fire pits & patio fireplaces are the number one choices for those wanting to entertain with the night sky as their background. Imagine telling stories, laughing, and sharing experiences as the stars dot the sky above you. Choose from a variety of barbeque grills, natural gas grills, and charcoal bbq grills for entertaining your guests with a nice meal seared to perfection. You'll easily find what you need for your outdoor patio with one of our portable gas grills, free-standing grills, or built-in grills. The choices are endless. If you type in the phrase, 'fireplace dealers near me' into your internet browser, there will be many choices of websites in the results. It may seem daunting when choosing a store to buy your home's main centerpiece. We're the diamond in the rough when it comes to fireplace stores and our well-satisfied customers show you just how far we'll go to make sure your purchase transforms your space. We not only sell you the best in fireplace products, we also back them up with quality fireplace service and maintenance as well. If you're looking for fireplace dealers nearby, we have stores in the Denver, Colorado Springs, and Fort Collins area, so contact Fireplace Warehouse ETC for more information on what we can do for you. Fireplace Warehouse ETC – Denver is a great place for all your fireplace needs. This was my first time using them and I was not disappointed. I stopped in to pick up some items and the staff was very friendly and accommodating. Their pricing is very competitive and I was able to get everything I needed quickly. I want people to know that Fireplace Warehouse ETC – Denver is a good, local company! Several months ago I bought some fireplace parts from Fireplace Warehouse ETC – Denver. Everything I bought seems to be working fine! We carry more than 20 of the top brands, and virtually endless styles to choose from. Whether it's a wood burning stove, a pellet insert or a wall-mounted electric fireplace, we have the the best selection to choose from. Now you can finally give your outdoor living space the makeover you've always dreamed of. We carry products from outdoor fireplaces, fire pits, grills, and more. After your backyard transformation with our outdoor products, the best room in your home may end up being outside your home. 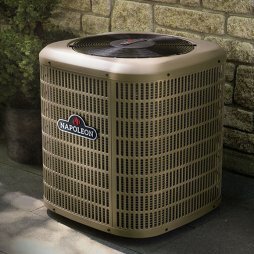 Keep your home nice and comfortable, regardless of what mother nature is up to outside. From SMART thermostats, to energy efficient A/C units and furnaces, we have what you need to regulate the temperature in your home. When your fireplace or HVAC unit needs to be serviced, you need a team you can trust. At Fireplace Warehouse, we use our in-house service and install team. This helps ensure we deliver the best experience possible. Don’t worry. That’s what we’re here for. Contact our product specialists today.